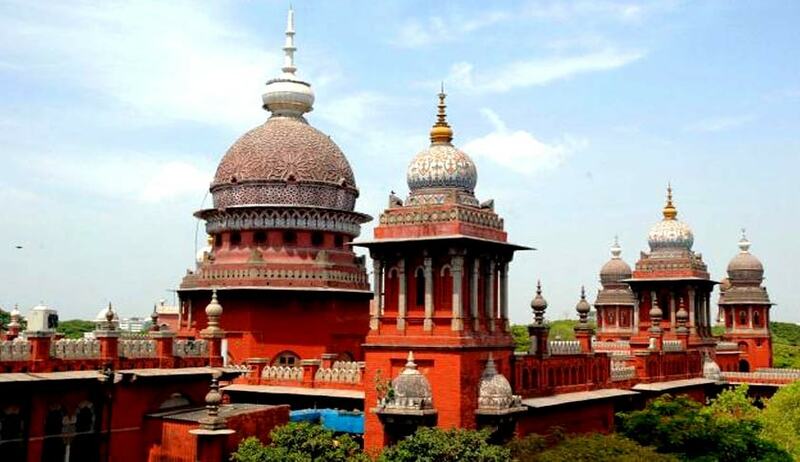 In a recent judgment, the Madras High Court has prescribed a dress code for men, women and even children to visit temples maintained by Hindu Religious and Charitable Endowments (HR and CE) Department across the State. Justice S. Vaidyanathan gave the above direction in a Writ Petition filed by Mr.Rasu seeking to quash the order of the Sub-Inspector Thuvarankurichi Police Station, Trichy declining to grant permission to conduct Gramiya Adal Padal Vizha (village cultural programme). The petitioner had sought for permission and police protection to conduct the same at Sri Shenbaga Vinayagar temple premises in Trichy district. Earlier the Madras High Court had passed an interim order in this Writ Petition permitting the petitioner to conduct the programme with certain conditions. In the interim order it imposed restrictions on shouting slogans, using mike sets, singing songs praising communal leaders or having communal overtones, displaying flex board depicting particular community or leader or political party. Apart from these conditions the court had also given a direction therein to insist a dress code for men and women, including children to enhance the spiritual ambience among the devotees, thronging to worship God/Goddesses. Dhoti or pyjamas with upper cloth was prescribed for men where as for women saree or half saree with blouse, churidhars with upper cloth were prescribed. Any fully covered dress was sufficed for children. In the interim order the court had also directed that the police should not allow devotees inside any Hindu Temple, who wear Bermudas, shorts, miniskirts, middies, sleeveless tops, low waist jeans, short lengh T- shirts etc. The matter was subsequently taken up to ensure the compliance of the conditions imposed by the Court in the interim order. Mr. V. R. Shanmuganathan, Special Government Pleader submitted that in the event of Court prescribing dress code the matter will be placed before the State Government for taking appropriate decision within eight weeks as it is the policy decision of the Government. He further added that the temples which are not coming within the control of the Government may be allowed to prescribe their own choice of dress code. The Court observed that the main object of prescribing dress code to the devotees is to restrict some of the devotees visiting temple wearing improper clothing. It was pointed out that Sree Somnath Temple had recently imposed a dress code banning short skirts and shorts by exhibiting a board about 200 metres away from the main temple to the effect that “not allowed inside the temple improper disrespectful dress.” The court also mentioned that Tirumala Tirupati Devasthanams which manages country’s richest temple in Chittoor District, Andhra Pradesh started implementing a dress code for everyone including VIP pilgrims who visited the temple. Observing that the object of imposing dress code was to restrict devotees who visit temple in “improper clothing,” the judge said that all religions, including Christianity and Islam, prescribe a decent, neat and disciplined dress code for worshipping their respective Gods. “The temples which are not coming within the purview of the Government shall enforce their own dress code. Police shall not allow devotees inside any Hindu Temple of Tamil Nadu who wear dresses other than the one prescribed,” the judge ordered. He directed the HR and CE Commissioner to issue a circular to all temples under his jurisdiction to strictly adhere to the dress code. However, temples where men were prohibited from wearing an upper cloth could continue the practice, he clarified. The judge also said that his order should be followed as an interim measure till the State government takes a policy decision as expeditiously as possible to prescribe a similar dress code in order to enhance the spiritual ambience among devotees.